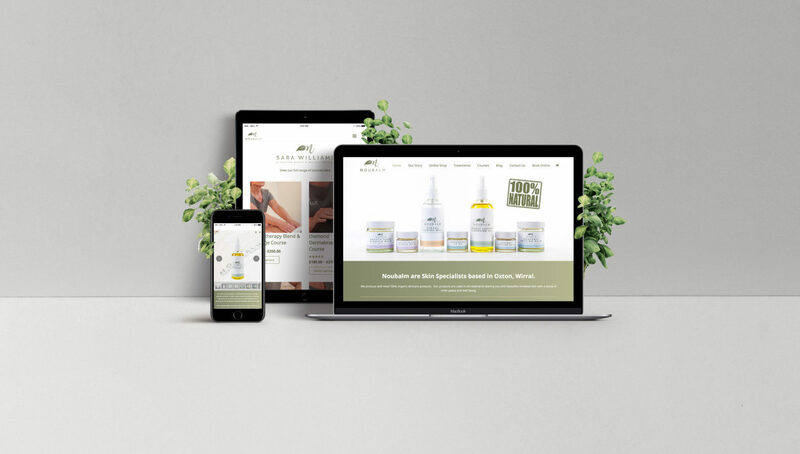 When Noubalm first came to us for help, they had a lovingly handmade skin care range rich in organic oils, a logo and great plans to break into the organic skincare industry. What they needed from us was help with branding, marketing and the development of a fantastic full e-commerce website. Our initial brief was to develop labels for their full product range, working with them to fine tune the designs to reflect their core values and exact brand requirements. The brief then expanded to include product photography and later, social media management, which saw a huge uplift in followers and increased interactions. We then created a full e-commerce website and became their go-to design agency offering graphic design on an ad hoc basis. The Noubalm brand is now flourishing and we are loving seeing the business go from strength to strength. They’ve just opened their first flagship store in Oxton, and we simply cannot wait see what the future holds for this awesome company!